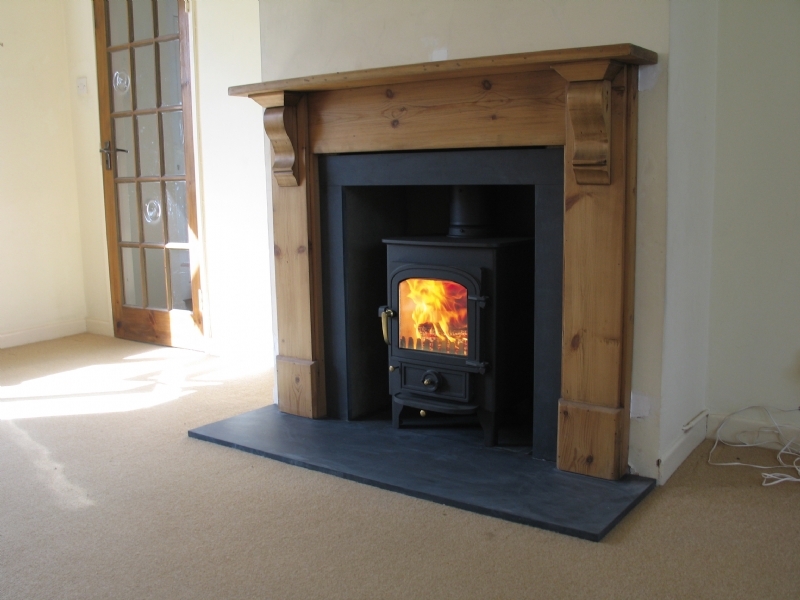 Clearview Pioneer in traditional fireplace wood burning stove installation from Kernow Fires. 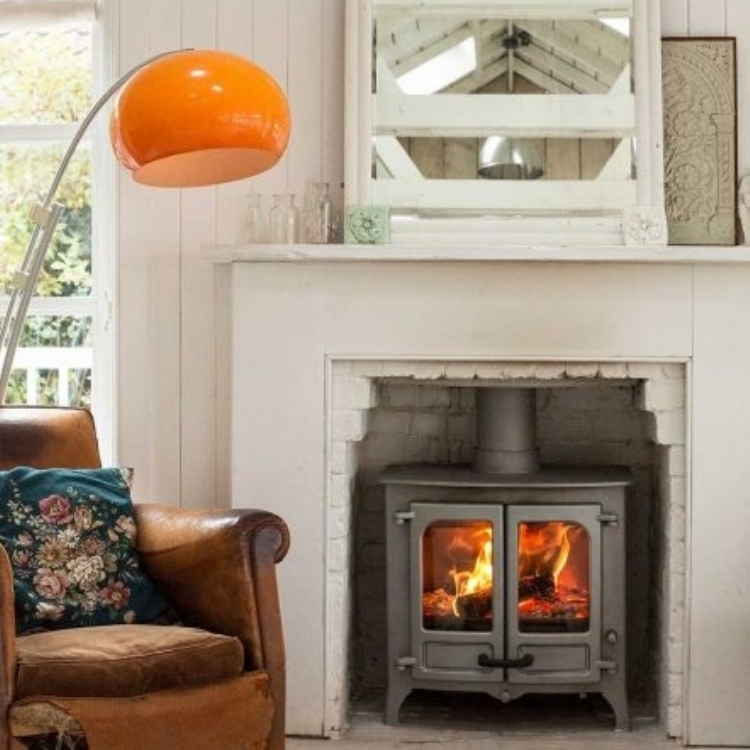 Customer Aspiration: To add a bit of Victorian design back into the house but replace a traditional fire with an efficient stove with traditional design. 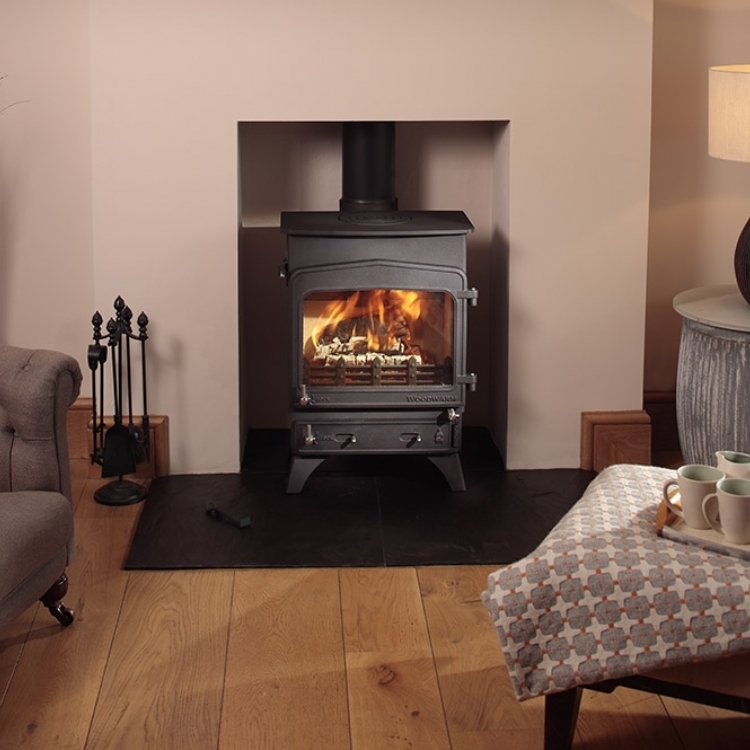 The Clearview Pioneer multifuel stove in black fits perfectly into the opening with the honed slate slips made to fit exactly giving a beautiful smooth finish to the fireplace. The brass fittings work really well in this situation picking up on the warmth of the wood mantle.